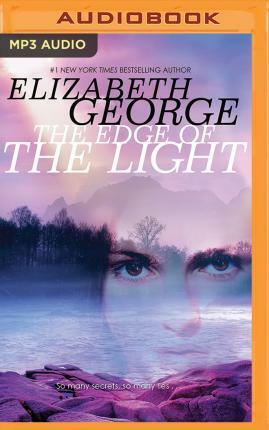 The climactic final installment of New York Times bestseller Elizabeth George's award-winning saga. Seth Darrow is a straightforward guy, and he likes life to be simple. Lately, it's been anything but. Since his beloved grandfather's stroke, Seth has been focused on getting Grand home again, before his aunt can take advantage of the situation to get her hands on Grand's valuable real estate. Seth would also like to get his relationship with Prynne on solid ground. He loves her, but can he believe she has her drug use under control? Meanwhile, things are complicated for the other Whidbey Island friends. Derric has found Rejoice, the sister he left behind in Uganda, but no one--including Rejoice--knows she is his sister. Jenn is discovering feelings for her teammate Cynthia, feelings her born-again Christian mother would never find acceptable. And Becca, hiding under a false identity since her arrival on the island, is concealing the biggest secret of all. In the final book of the Whidbey Island saga, events build to an astonishing climax as secrets are revealed, hearts are broken, and lives are changed forever.